The Gunnison County Metropolitan Recreation District (Met Rec) is poised to establish a grant cycle for recreation funding this spring. The process comes as citizen advisory committees have established a clear need for funding at both ends of the Gunnison Valley, including time-sensitive projects seeking funding this summer. Since January, two citizen advisory committees—one for the north end of the valley and one for the south—have been meeting with recreation groups and non-profits. They reported their findings to the Met Rec board at its March 27 meeting. Gunnison residents Loren Ahonen and Bryan Wickenhauser spoke for the south end of the valley, noting that the committee’s third member, Hedda Peterson, had spearheaded the process of reaching out to recreation-based groups. They had identified a range of funding needs for groups such as the Gunnison Arts Center (GAC), which is embarking on a roughly $2 million renovation of its facility, Gunnison Trails, the West Elk Hockey Association, Gunnison Nordic and Western Colorado University, which hopes to install a low ropes course. The dollar amounts ranged from less than $1,500 to install signage and “wag bag” stations to help dog owners clean up after their pets on local Nordic trails, to $45,000 over three years for the GAC. The committee had also discussed how to approach funding from a philosophical perspective: Would it make more sense to fund several smaller grants, or help a larger project get across the finish line? Mt. Crested Butte resident Laura Daniels spoke on behalf of the north valley advisory committee. She and fellow members Christie Hicks and Cassia Cadenhead have been meeting roughly every other week, and Daniels noted that the timing of the discussion was fortuitous. The town of Crested Butte had noticeably tightened its belt when it came to grant allocations. The committee came up with a draft budget, showing both specific dollar amounts based on need and the percentage allocated to each so it can be adapted to the amount of available funding. “We tried to focus on high-impact, high-priority projects, partly because we wanted to make a big impact in the community… We also tried to focus on diversity of projects so we could impact lots of different users within the north end of the valley,” Daniels said. “One of the reasons we took this tactic is that we really wanted citizens to feel good about passing 7D.” The ballot initiative had significantly increased funds for Met Red. Among the needs the committee identified were $8,000 for a Peanut Lake working group looking to rebuild parking lots and design the area to alleviate congestion, plus funds to increase the presence of the Crested Butte Conservation Corp in the area. They also identified a need to help pay for the grooming of the Nordic trails at the Town Ranch trailhead, commonly known as the Poop Loop; seed money for the Sustainable Tourism & Outdoor Recreation committee; dance scholarships; kids’ programming at the Wildflower Festival; and an idea to offer swim lessons in the north end of the valley. The Met Rec board also heard from the Gunnison Arts Center directly. Executive director Carlie Kenton and board president Kim Eastman made a pitch for $15,000 for the next three years to support their capital campaign. “We are a great complement to what the valley has to offer with recreation,” Kenton said, adding that the 136-year-old building and the GAC serve more than 15,000 participants every year. The $2 million renovation will enable the board and staff to undertake historical preservation, add new programming and update the facilities. “Arts definitely are recreational,” Eastman added. “It does help people not only to exercise the body but to exercise the mind as well.” She emphasized that Met Rec funds would be used to demonstrate local support for the project as the GAC applied for larger grants. She and Kenton were both open to applying for the funds as part of a grant cycle. Following the presentations, the Met Rec board confirmed its legal ability to fund arts programming, yet leaned toward establishing a grant cycle before awarding funds. “The first year really needs to be transparent, fair and an information gathering exercise,” board member Ian Billick said, suggesting that a standard template for an RFP (request for proposals) be brought to the next meeting. Derrick Nehrenberg, who is a member of the board’s recreation subcommittee, offered to take the lead on developing that template in coordination with the north and south citizen advisory committees. 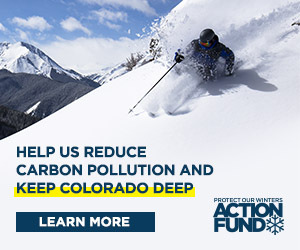 He confirmed for the Crested Butte News that roughly $100,000 has been budgeted for recreation grants, but that figure could fluctuate depending on the quality of applications that come in. The draft RFP will be considered by the board at its next meeting on May 1.